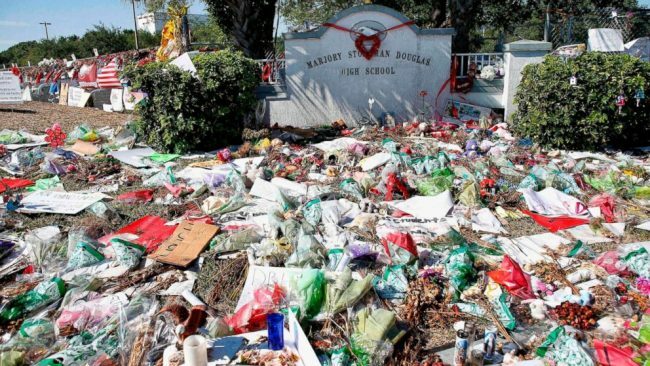 On week after a 19-year-old survivor of the Parkland Shooting at Marjory Stoneman Douglas High School, a second committed suicide on the evening of March 23, 2019. Police spokesperson Tyler Reik told The Washington Post that the age and name of the student would not be released and the death was being investigated. Reik also would not confirm the cause of death. Sydney Aiello, a student at Marjory Stoneman Douglas High School in Parkland, Florida, committed suicide a week ago. He mother said her daughter suffered from survivor’s guilt and was diagnosed with post-traumatic stress disorder. On of Aiello’s friends was killed at Stoneman Douglas. Aiello was a senior at the time of the shooting which took the lives of 17 students and staff, including her friend Meadow Pollack. The father of 14-year-old Parkland shooting victim Alaina Petty, Ryan Petty, said in an interview with the Herald that the student died from a gunshot wound. News of the suicide comes on the anniversary of the March for Our Lives, which was a demonstration run by students against gun violence. On March 24 David Hogg, a student activist from the Parkland shooting tweeted asking how many more children have to kill themselves before school/government do something?